The Panoramascope has been withdrawn from sale. I have not had enough time to maintain it recently, having been working primarily on my more successful apps. Due to lack of compatibility with newer versions of iOS and newer hardware, I've decided that it is best to withdraw it. If you've previously purchased the app, you should continue to be able to use it (including downloading terrain and other data), and to restore it from the App Store. Apple, the Apple logo and iPod are trademarks of Apple Inc., registered in the U.S. and other countries. iPhone is a trademark of Apple Inc. 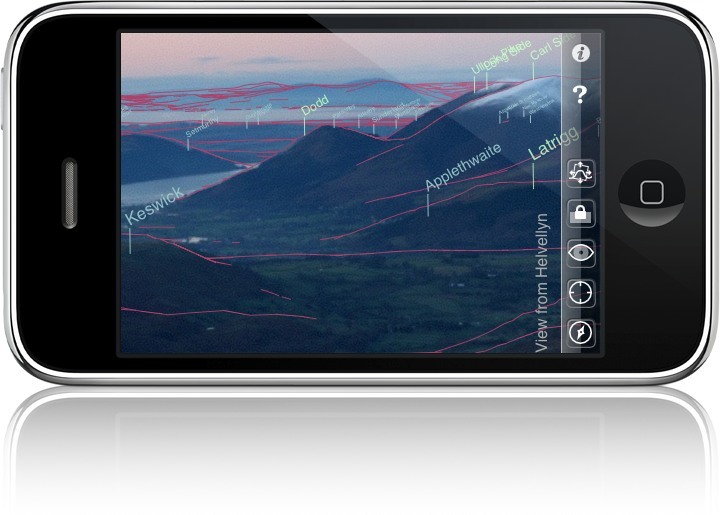 The Panoramascope uses terrain data from NASA and placename data from OpenStreetMap. Images on this site that include OpenStreetMap-derived data are distributed subject to CC-BY-SA terms.